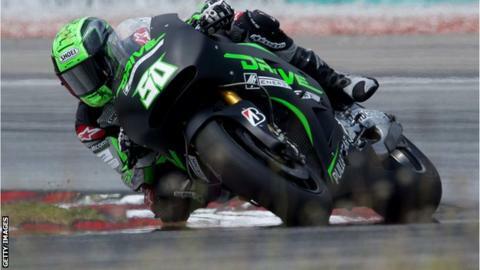 Eugene Laverty failed to finish Saturday's Dutch GP after coming off during the MotoGP round at Assen. The Aspar Honda rider from Toomebridge crashed out at Turn 11 on the circuit but was reported to be uninjured. Laverty has picked up seven points so far in his first MotoGP season with 12th in the previous round in Spain his best finish in 2015. Italian Valentino Rossi held off defending champion Marc Marquez to win while Jorge Lorenzo was third.